Interested in Selling your Condo in Hyde Resort & Residences? Hyde Resort & Residences is the newest condominium projects on Hollywood Beach, Florida. This oceanfront project rises 40 stories and contain 40 luxury, oceanfront designer ready condo residences and 367 resort condominium units which are stylishly finished and furnished. This project is Related Group and Fortune International’s latest luxury beachfront Development. Cohen,Freedman, Encinosa & Associates Architects are responsible for the structural design and the interiors are designed by Debra Aguilar. Located in Hollywood Beach in the heart of South Florida, Hyde Beach Resort Condo Residences will rise along the pristine Beaches of the Atlantic Ocean and is just minutes away from the Aventura Mall and Shops at Bal Harbour. The 40 ultra-luxury Hyde Beach oceanfront condo residences (floors 22 – 41) offer spacious 2 and 3 bedroom decorator ready fully equipped designer condominium homes. The 367 oceanfront resort condo-hotel units come fully finished and furnished with a use restriction not to exceed 150 days in one year. All Hyde Beach Hollywood condo residences come with wide private terraces with glass railings and unobstructed oceanfront views. In fact, almost every Hyde Beach Hollywood condo residences comes complete with an ocean view. Residences also include European cabinetry in kitchens and bathrooms, imported stone counter tops, energy efficient,tinted, impact resistant, floor-to-ceiling sliding glass doors and windows, and advance technology “Smart Building” pre-wired with fiber optics for high speed internet, data/voice cable TV access. The Hyde Beach Resort condo-hotel units are furnished with European designer furniture. The living rooms are appointed with luxurious European design furniture and LED “Smart” televisions, in-suite technology, including high speed internet access, WIFI and multiple phone, extensions with voicemail and individual climate control, security features including in-room safes and electronic door locks. Hyde Beach & Resort Residences Hollywood Condominiums is professionally managed including personal concierge services with 24/7 access to the finest Miami and the beaches has to offer including: reservations to restaurants, sporting and theater events, spa’s, and yacht charter services. The Hyde Resort features aluxurious infinity edge ocean view pool, sun deck, and private cabanas. Room service is available to all condo and condo-hotel units as is housekeeping,cleaning, and laundry services. The state-of-the-art fully-equipped fitness center features a health spa with men’s and women’s steam and sauna facilitiesas well as a cardio theatre overlooking the pool deck and the Atlantic Ocean. The entrance is a feature an elegant, double volume lobby, exquisitely appointed with sleek Italian furniture and finishes. Throughout the buildings public spaces, there is a permanent curated art collection. Other services include 24-hour complimentary valet parking, a secured parking garage, 24-hourattended security services with controlled access, and High-speed internet access in all public areas. Ownership at Hyde Beach Hollywood will provide you exclusive privileges at the Beach Club such as valet service, VIP access to changing suite featuring lockers, private showers, sauna, and treatment rooms, complimentary beachside towel service,complimentary beachside chaise and umbrella service, beachside food and beverage service, VIP access to sun deck and plunge pool area with multiple showers, on-site spa services, VIP invitations to special events, and 10% off all purchases at the restaurant and sun deck. - 2 bedrooms/2 bathrooms: 1,380 sq. ft.
- 3 bedrooms/3 bathrooms: 1,870 sq. ft.
- 1 bedroom/1 bathroom: 870 sq. ft.
- 2 bedrooms/2 bathrooms: 1,235 sq. ft.
- 3 bedrooms/3 bathrooms: 1,840 sq. ft.
S.F. Range: 870 – 1,840 sq. ft.
State-of-the-art,fully equipped fitness center with cardio theatre overlooking the pool deck and Ocean. Hyde Beach Resort Condominiums will be professionally managed. 274beautifully finished and furnished condominiums with a use restriction not to exceed 150 days in a year. Living Rooms appointed with luxurious European design furniture and LED “Smart”televisions. In-suite technology, including high speed internet access, WIFI and multiple phone extensions with voicemail and individual climate control. 4111 South Ocean Drive Hyde Resort & Residences Condos For Sale in Hyde Beach Hollywood. Call 305.494.1767. Pre-sale Hyde Resort & Residences Condos 2nd Quarter 2016. 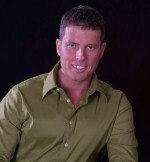 Steve Samuels is known as one of the premier real estate brokers in Hyde Beach Hollywood Florida. His negotiation skills, market knowledge and no-nonsense, results-driven approach has made him one of the most sought after luxury condominium and single family waterfront realtors from Miami to Palm Beach County. CondosandCondos.com is one of the Leading Miami Real Estate websites where you can find Condos for Sale or Rental. Search for Luxury Condos in Miami, Miami Beach, South Beach, Sunny Isles, Hallandale, Key Biscayne, Bal Harbour, Fisher Island, Coral Gables, and all of South Florida. Call 305.494.1767 for information on Hyde Resort & Residences Condos For Sale in Hyde Beach, Hollywood Florida.